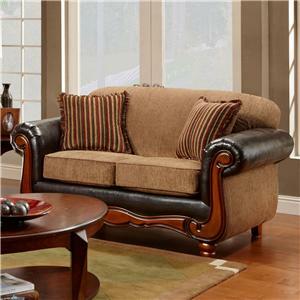 Grace your living room with this beautiful stationary sofa. 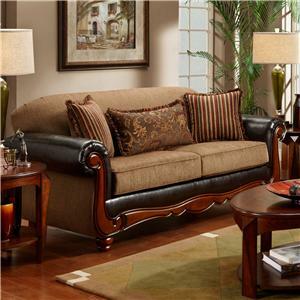 The traditional design features elegant scrolled wood trim along the base and rolled armrests with turned bun feet. 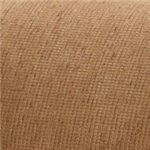 The beige fabric upholstery is enhanced with a dark leather-like trim for a luxurious two-tone look. Topped with plush seat cushions, two arm pillows, and a kidney pillow, this stationary sofa is stylish comfort at its best. Pair with the matching loveseat for the complete set. 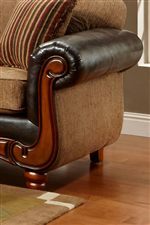 The 1030 Radar Mocha Traditional Two-Tone Rolled Arm Sofa with Wood Trim by Washington Furniture is available in the area from BigFurnitureWebsite.